By the way, you heard that right. “Loser” was almost 20 years ago. Soy un perdedor. Since then, he has pushed the boundaries of music, creating virtual collages and paintings with his music without focusing on chart-topping success. Last year, Beck released Song Reader, an album of sorts consisting of artwork and sheet music for 20 new songs. And it looks like he will be modifying his style again — announcing that he is working on an entirely acoustic record, due out later this year. Beck will give fans a taste of the album as he goes on a stripped-down acoustic tour this summer, showcasing both new music and old favorites. These very special performances will feature never before heard material from an upcoming acoustic record. The record can best be described as a self-contained work, one that came in the form of a burst of inspiration following the completion of last year’s groundbreaking Song Reader sheet music album. Fans of Beck may have seen this change coming, considering the raw acoustic sound of “Looking For a Sign” from last year’s indie film Jeff, Who Lives At Home. So far, only a handful of acoustic dates in the spring and summer have been announced — mainly in California and the Northeast. Hopefully, with the upcoming release of this new album, more shows will be added soon. 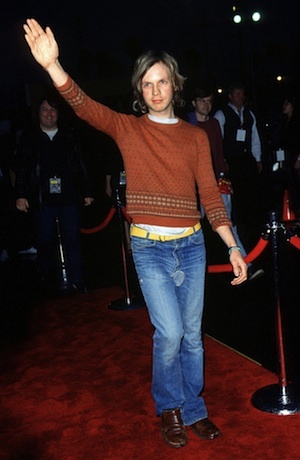 In the mean time, check out Beck’s “Looking For a Sign” and tell us what you think of his unplugged sound in the comments below.